The following article was written by Dean Hanley and will be published in an upcoming issue of Sports Collectors Digest. 1951 Topps had proceeded very cautiously when they issued the 1951 Topps sets, much as Bowman had done with their first national post-WWII issue of cards in 1948. The main reason for packaging the 1951 cards with taffy was to protect the company from a potential legal attack from Bowman. Topps had gotten their feet wet with a very simple set. Topps had learned from its numerous mistakes and would never go to market with such a tawdry product again. Although Topps got off to a very inauspicious start in the baseball card market in 1951, they did not let the failures of their first major set discourage them. They kept pushing forward and as a result, Topps did manage to catch a few breaks. While Bowman was headquartered in Philadelphia, Topps was located in New York City, the epicenter of the baseball world. The Yankees, Dodgers, and Giants all called New York City home, which would prove to be a significant advantage for Topps in the early part of the 1950’s. 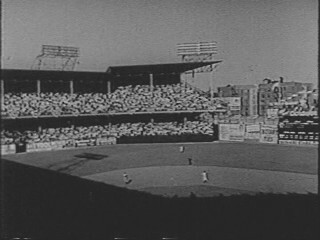 The New York teams were at their peak and at least one New York-based team would appear in each World Series from 1949 to 1958. Topps also had the fortune of great timing. Baseball had reached a new peak in popularity. Baseball games were setting new attendance records and the number of local, small-town radio stations that broadcast games soon doubled. No longer was it imperative to live in a major city in order to enjoy a ballgame. Baseball was further popularized by new technology. As televisions started appearing in homes across America, local stations began televising games. The first nation-wide broadcast of a baseball game was in 1951. A record number of people now had access to the sport. The very same children who once popularized the art of collecting baseball cards decades before, now had the ability to watch their favorite players in action, with lights and sounds. Baseball’s popularity had soared when the games great stars returned from war in 1946. The higher level of play on the field continued as the color-barrier was broken in 1947 by Jackie Robinson. 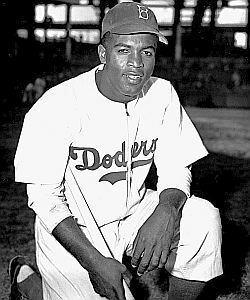 Robinson led the Dodgers to the World Series that year and clubs began signing the best player available – regardless of skin color – in order to compete. The year of 1951, the nation’s epicenter, New York City saw the arrival of two most exciting baseball stars, who would dominate the game for the next two decades: Mickey Mantle and Willie Mays. Topps timing was also fortunate because America would tune into baseball just in time to witness something very special. The 1951 National League pennant race, considered one of the most exciting of all-time. On August 11th, the Dodgers were 13 ½ games ahead of the Giants. Dodgers’ manager Chuck Dressen was over-confident and proclaimed, “the Giants are dead!” However, the Giants proceeded to feed Dressen his words when they won 37 of their last 44 games, including the last seven, tying the Dodgers at the season’s end and forcing a three-game playoff. The Giants’ Bobby Thomson hit a home run off of Ralph Branca to win Game one at Ebbets Field. The teams then moved to the Polo Grounds where the Dodgers won Game two, 10-0 behind Clem Labine. The stage was set for Game three. The teams were locked in a 1-1 tie until the eighth inning, when the Dodgers rallied for three runs. Dodgers Ace Don Newcombe sailed through the bottom of the 8th inning and looked to be in total control as the Giants came up to bat in the ninth inning. The Giants immense joy was short-lived, as the dominant Yankees then proceeded to beat them in the World Series and also did the same to the Dodgers the following year. The World Series never left New York City for those three years. If you think that big city teams dominate baseball today, in the decade between 1947 and 1956, the three New York teams made a combined 16 World Series appearances. The Yankees won seven rings and the N.L. clubs each took one home as well. The popularity of the game of baseball was more popular than it had ever been. The fans could not get enough of the sport, which was also driving the sales of baseball cards to all-time highs. By 1951, Bowman was selling 200 million baseball cards and generating almost one million dollars in baseball card sales, which accounted for almost one-third of Bowman Gum’s total sales for the year. Even with the appearance of the Topps Blue and Red Backs sets in 1951, Bowman still had no serious competition in the baseball card market. Although Topps was making an effort to produce baseball cards, it was far from certain how that would play out. It was very possible that Topps could retreat from the baseball card market, as Leaf had done after 1949. Bowman Gum had steadily improved its product, market position and profits since they re-entered the baseball card market in 1948. The Bowman baseball cards had improved in quality and quantity in each of the four issues. The 1951 Bowman baseball card set included 324 cards, the most that there would ever be in a Bowman set. Although no one realized it in 1951, Bowman reached its zenith. Well, almost no one. J. Warren Bowman was not the type of man to let his bubble gum empire slip away without a fight. When the 1951 Topps baseball cards appeared in stores, the Bowman Gum Co. was quick to take legal action to protect their dominant position in the baseball card market. Bowman Gum filed a lawsuit against Topps, just as they had done against Leaf two years earlier. Issuing sets of sports cards alongside their gum products gave the Bowman Gum Company a huge advantage over the competition. 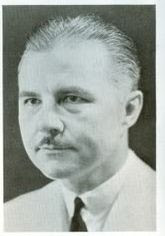 Warren Bowman had the foresight to lock the professional players of both baseball and football, whose images were essential in producing a successful set of cards, into exclusive multi-year contracts. These exclusive contracts prohibited Bowman’s competitors from selling cards with gum products, giving Bowman a virtual monopoly on this fast-growing market. Seeing the 1951 Topps baseball cards sets as a threat, Bowman went all out to secure exclusive contracts for as many of the baseball players as he possibly could. Believing that Joan Crosby was going to be the answer to signing players, Bowman contracted with Art Flynn, one of baseball’s first super agents, in July of 1951, to start signing players to contracts to appear on Bowman baseball cards. Flynn was authorized to sign a minimum of 15 players from each team to appear on Bowman baseball cards. Given the business genius of J. Warren Bowman, it is doubtful if this chain of events was lost upon him. Bowman knew that Sy Berger had spent the summer signing hundreds of baseball players to contracts to appear on Topps baseball cards. Although he never publicly commented on it, Bowman knew what most of the public did not: a Bubble Gum Baseball Card War was about to begin. In the 1930’s, Bowman had built his bubble gum company into the market leader, only to lose control of it a few years later. J. Warren eventually regained control of the company and Bowman Gum continued to be the leading producer of bubble gum, but things were different. Two decades had passed and Warren Bowman was no longer a young man. The value of the Bowman Gum Co. was at an all-time high and Mr. Bowman knew that even if Bowman Gum could defeat the Topps challenge to the baseball card market, that it may take years for Bowman Gum’s profits to return to 1951 levels. Warren Bowman’s advantage was that he had inside information that was not yet apparent to the market. J. Warren Bowman decided that it was time for him to “cash out”. So in April of 1952, the Bowman Gum Co. was sold to Haelan Laboratories, Inc.
No matter how much due diligence that is performed by someone purchasing a company, the seller almost always has more knowledge and understanding regarding the company and its markets that it is selling, than the buyer can uncover. 1. The undisputed market leader - The Bowman Gum Co.
2. In a highly profitable market niche - Bubble Gum. 3. With an exploding target market – the kids of the Baby Boom Generation. 4. With a legally protected monopoly on a marketing advantage to sell its product – Baseball Cards. 5. Based on a sport that was at the peak of its popularity – Baseball. The stark reality of this situation would turn out to be far different. Haelan Laboratories had purchased all the assets that J. Warren had built, except leadership and creativity. Especially in emerging markets like baseball cards,is the most valuable asset that a company possesses. Jacob Warren Bowman would fade away into history, and with him went much of the company’s creative thought and competitive spirit. Those traits would be sorely missed in the next few years, as the Baseball Card Bubble Gum war continued to increase in ferocity. With Bowman’s retirement, Topps had just caught its biggest piece of luck yet. That luck was also shared by Warren Bowman, who had made a great fortune of selling his company while it was at its highest value. Few entrepreneurs are wise enough and lucky enough to accomplish this feat. J. Warren Bowman had staged his last, in a long line of coups. Sometimes, there is no substitute for good timing. 1. Baseball was at an all-time highin popularity, thanks to an infusion of new exciting talent and also by the 1951 N.L. pennant race that was climaxed by the “Miracle of Coogan’s Bluff”. 2. The nation’s best baseball teams – the Yankees, Dodgers, and Giants - were all located in New York City, which was also the largest U.S, market for bubble gum. 3. Baseball card sales were also at an all-time high, thanks to Warren Bowman. 4. The oldest of the huge U.S. Baby Boom population of boys was turning 6 years old – and now old enough to begin buying baseball cards. 5. The most experienced and successful seller of baseball cards ever, Warren Bowman had sold his company and retired. 6. J.E. Shorin had finally turned the Topps baseball cards efforts over to Sy Berger. The stage was set. With assistance from an artist named Woody Gelman, Sy Berger spent the winter designing the 1952 Topps cards, on the kitchen table of his apartment in Brooklyn. By the time that the big 1952 Topps baseball cards reached the shelves of candy stores in April of 1952, the ink that the executives of Haelan Labs had used to sign the purchase agreement, of the Bowman Gum Company, had barely dried. Haelan would be in for the surprise and the fight of its life! Interesting! When does the book come out? WWII: The Boys go to War and baseball suffers.